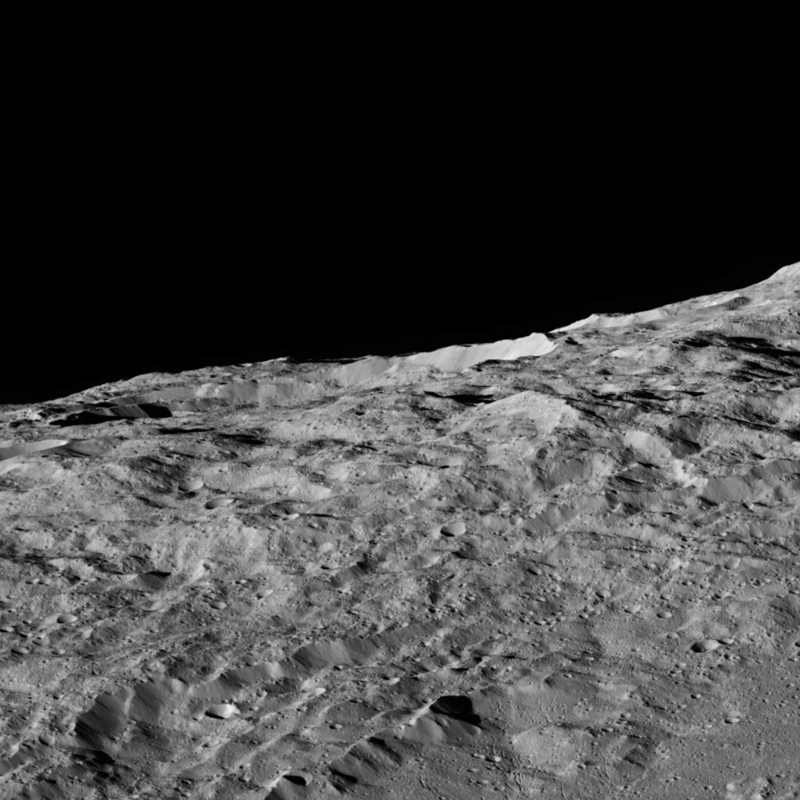 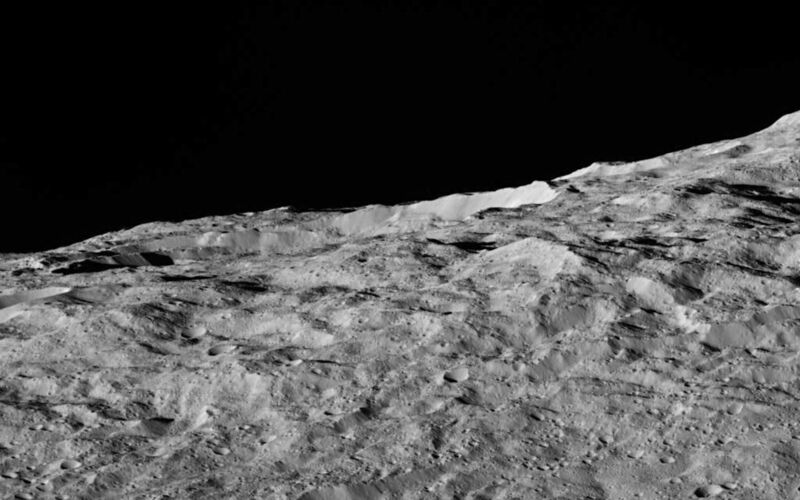 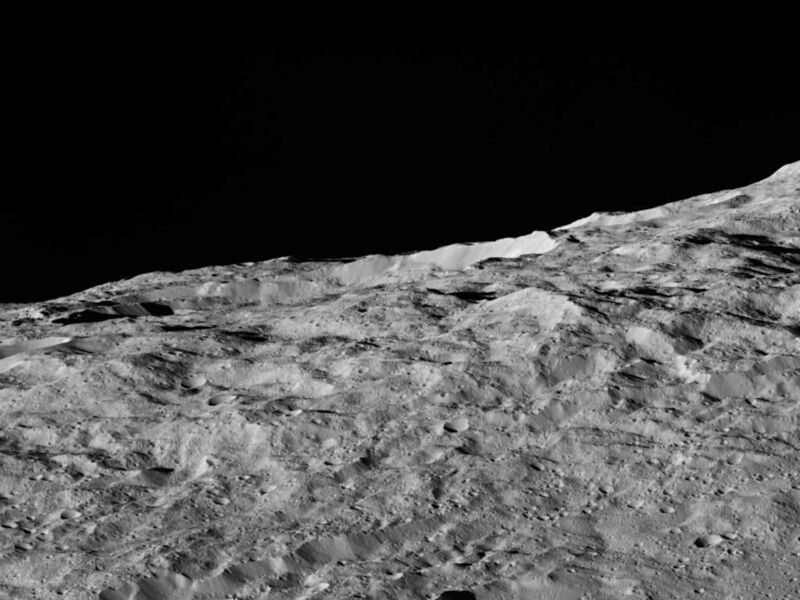 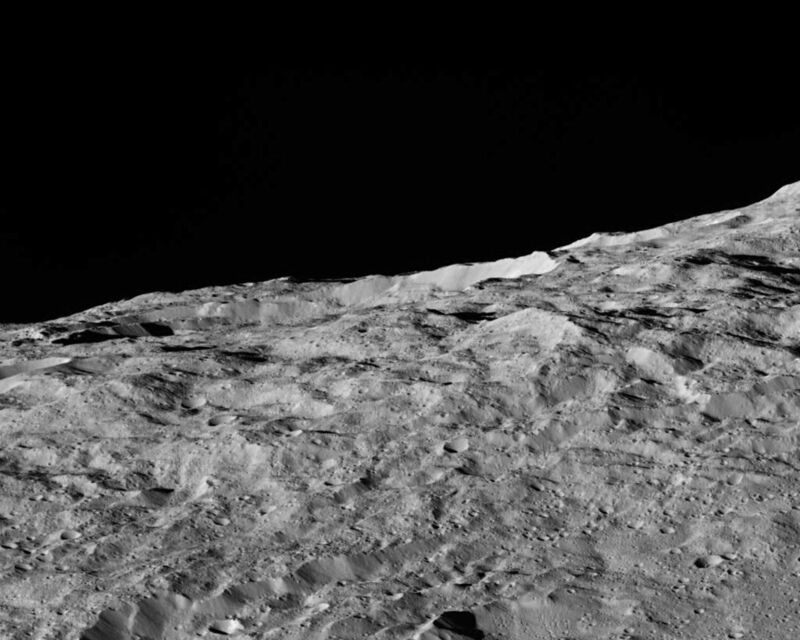 These views of Ceres, taken by NASA's Dawn spacecraft on December 10, show an area in the southern part of the southern hemisphere of the dwarf planet. 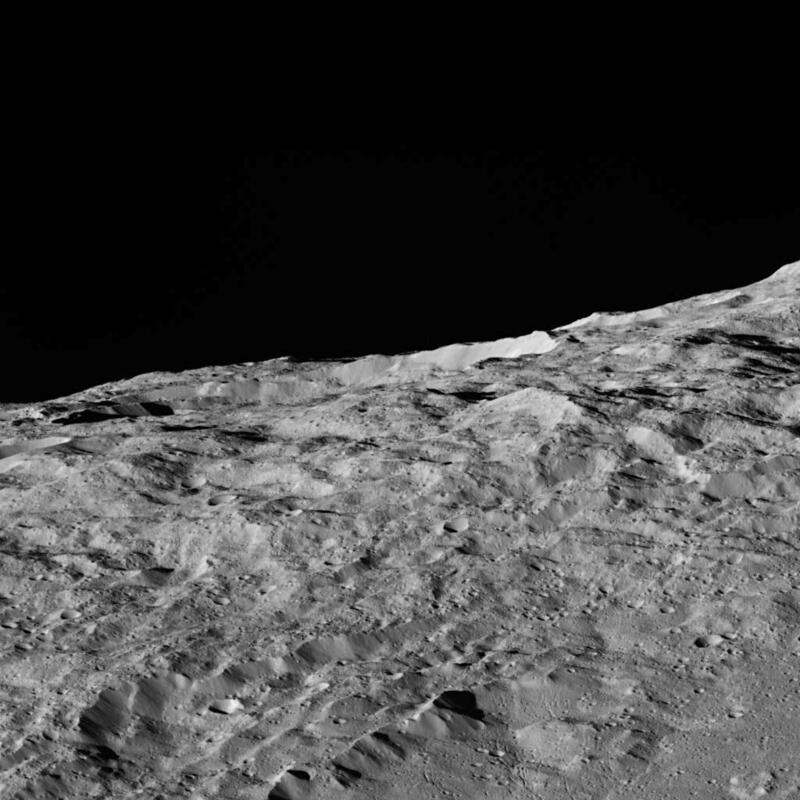 They are located at approximately 60.4 south longitude, 161.1 east longitude. 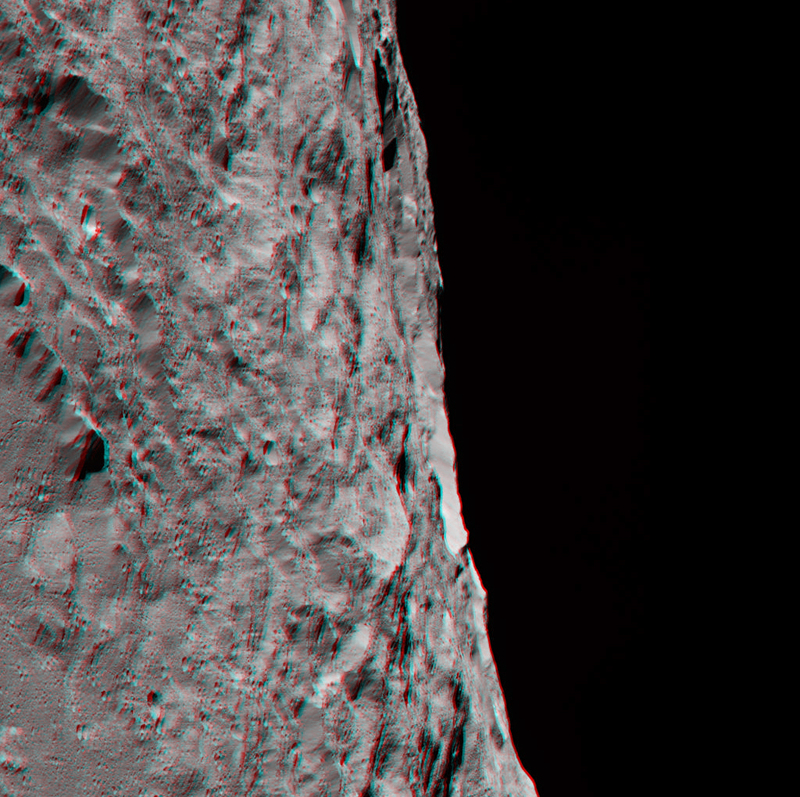 A slightly different view of the same area, taken in the same sequence (Figure 1), is also available. 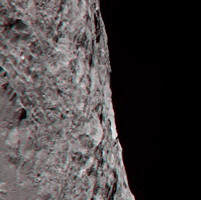 The two views were combined to make a 3-D anaglyph (Figure 2). 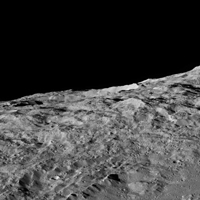 The spacecraft took these images in its low-altitude mapping orbit (LAMO) from an approximate distance of 240 miles (385 kilometers) from Ceres.